Are you Valentine’s yay or Valentine’s nay? I’ll actually be spending it solo this year as Pete is on a business trip and doesn’t get back until the 15th. To be honest though, we’re not really ones for celebrating. I don’t know how I feel about all the hype and commercialisation around it and think love should be celebrated in all its forms, every day. 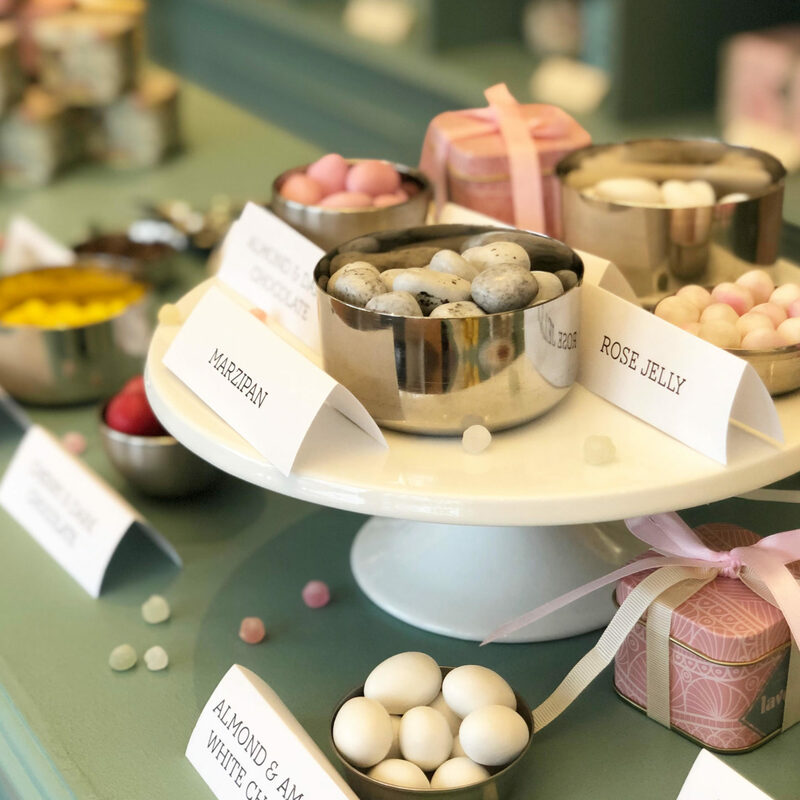 Last week on the greyest coldest February day I toddled over to West London for a morning of all things small business and beautiful at the stunning confectionery shop, Lavolio in Parson’s Green. My invite came courtesy of the lovely Martha Brook London, a divine small business in the stationery and gifts sector that I’ve been a long-term supporter of. This blog post may seem like an ad but it really isn’t. I was invited to a couple of hours learning about the Lavolio confectionery and took away a couple of gifts but was under absolutely no obligation to share. What I am passionate about though is supporting small businesses, as someone who used to run one myself. Lavolio specialises in handmade Italian sweets, morsels of nuts or chocolate or jelly wrapped in the finest sugar shell. In my past life I wasn’t terribly adventurous with chocolates and sweets, preferring a bog standard Mars Bar to a box of something fancy even though Pete used to lavish me with boxes of tempting treats. Now though I’ll try anything and appreciate the artisan tastes so much more. 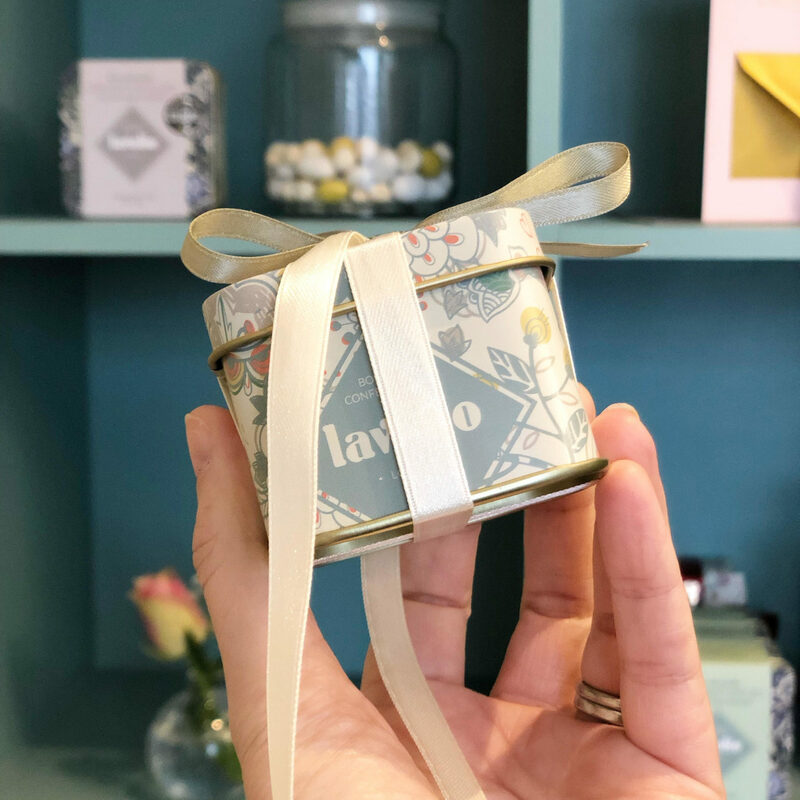 All of the sweets sold at Lavolio are gluten-free and beautifully packaged (think William Morris) which has caught the eye of some of their world-renowned stockists including Fortnum & Mason. 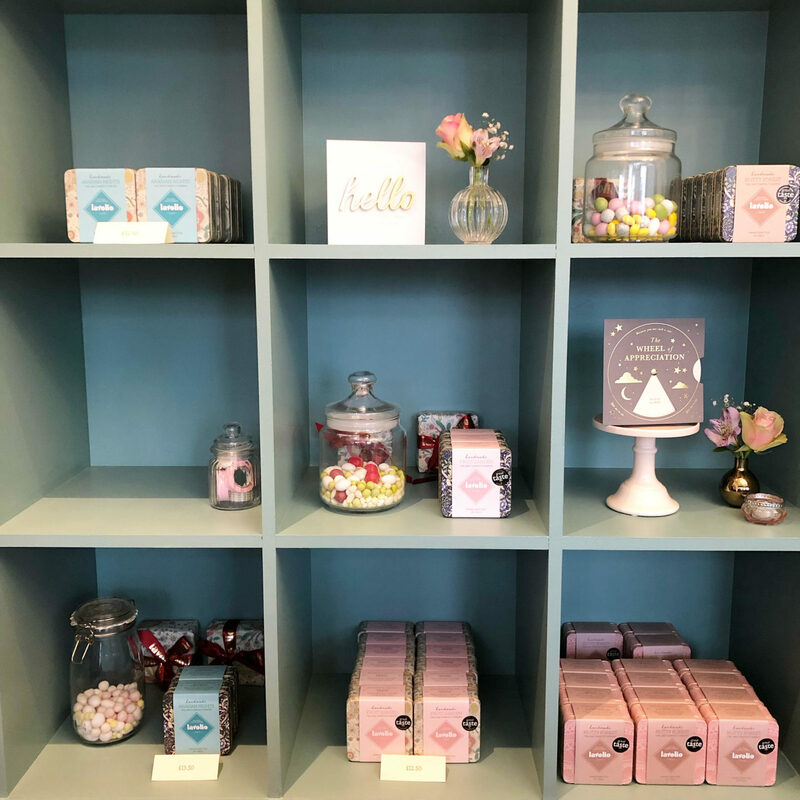 Prior to setting up her small confectionery business, owner Lavinia Davolio was an investment banker and started as so many of us do, either from a kitchen table or spare room. Being able to follow your passion is such an enviable opportunity and for me this is precisely what marks out so many business owners – that attention to detail, going the extra mile, wonderful customer service. If I was going to be purchasing any Valentine’s gifts these are certainly important factors to me. We had the opportunity to put together our own small box of treats and of course I had to sample a few to make sure I had the perfect combination. All the products are available to buy online and you can also create your own bespoke packages for corporate entertaining, wedding favours and so on. 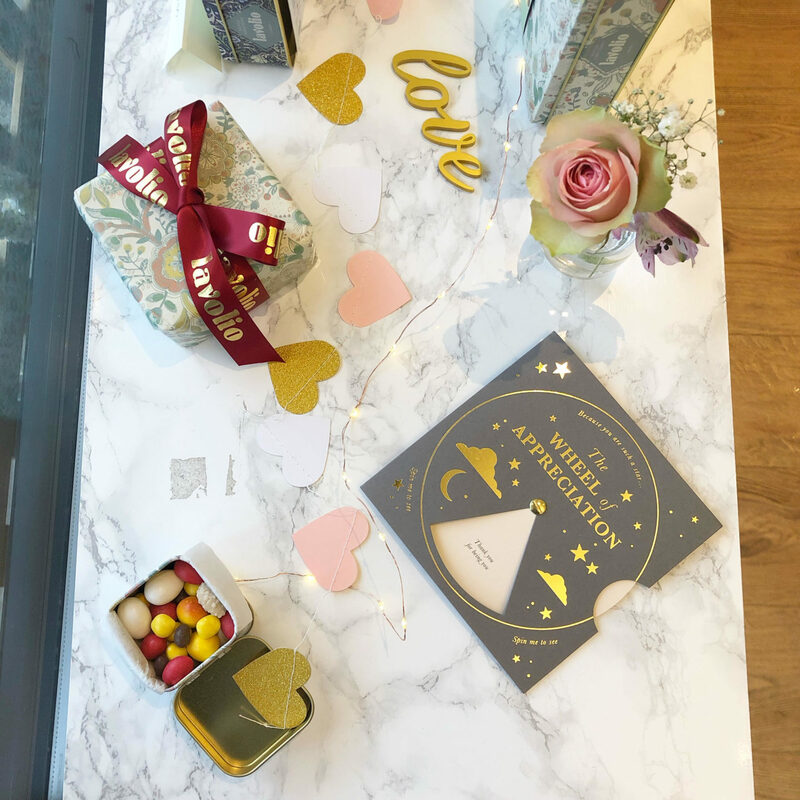 Martha Brook London shares a similar story to Lavolio after owner Martha Keith created a personalised set of love notes to give to her husband for Valentine’s Day. 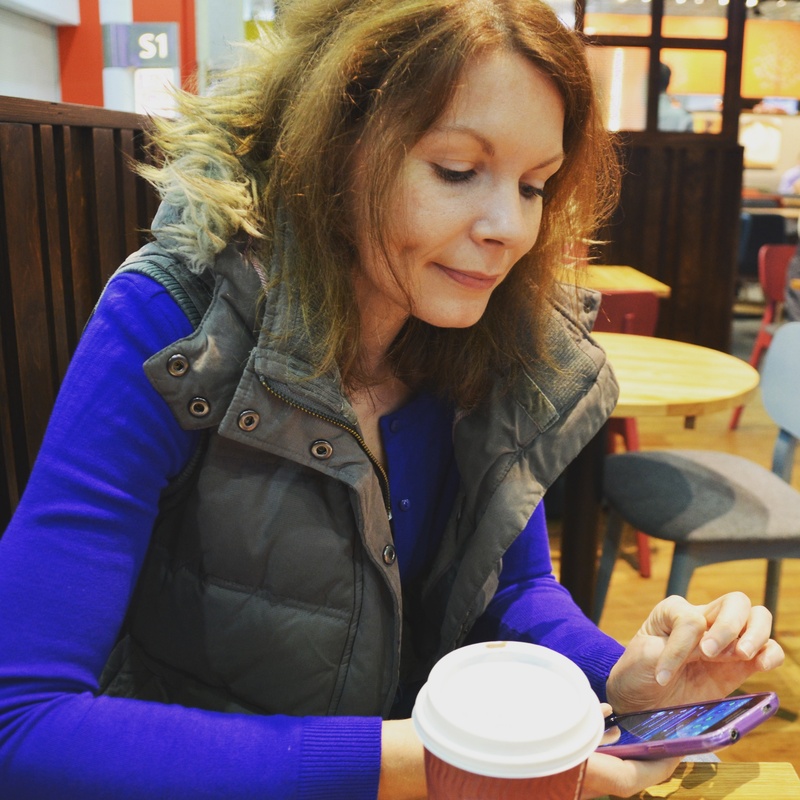 Hailing from the corporate world too, she decided to launch her loves notes on to Not On the High Street and the rest is more or less history. Overwhelmed with demand and recruiting help from just about everyone she knew at the time, Martha realised that there was a real zest for very special, crafted, personalised stationery. 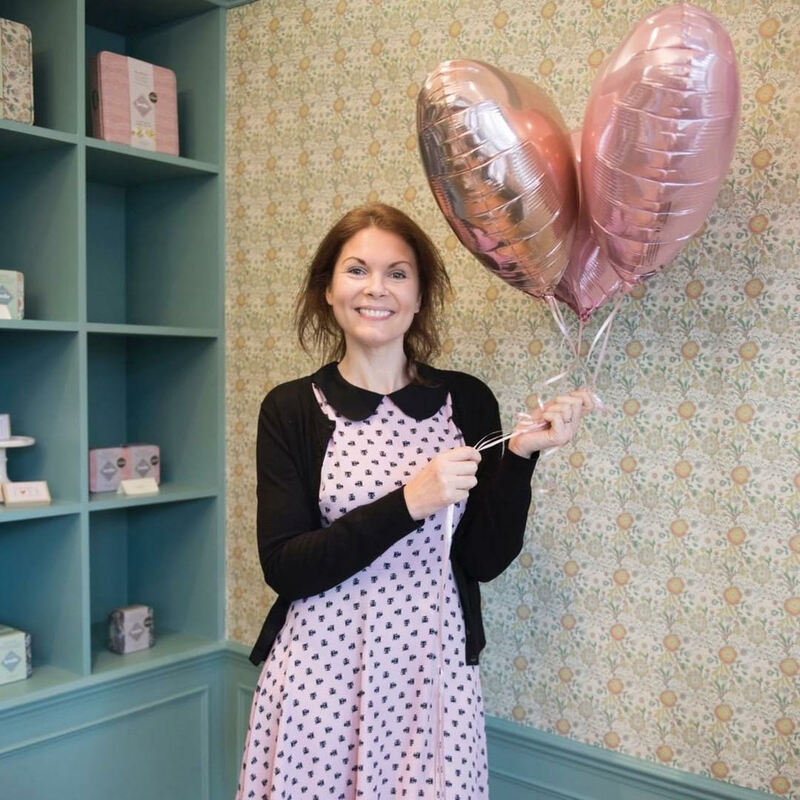 Again, starting out from home and originally cycling her orders to the post office, Martha now has a studio in West London from where the business runs. She has a team of staff, her husband quit his job to become the Head of Operations and business goes from strength to strength. I first met Martha back in 2017 when we both spoke on a panel hosted by Enterprise Nation in the homewares sector about running a small creative business/freelancing/self-employment. 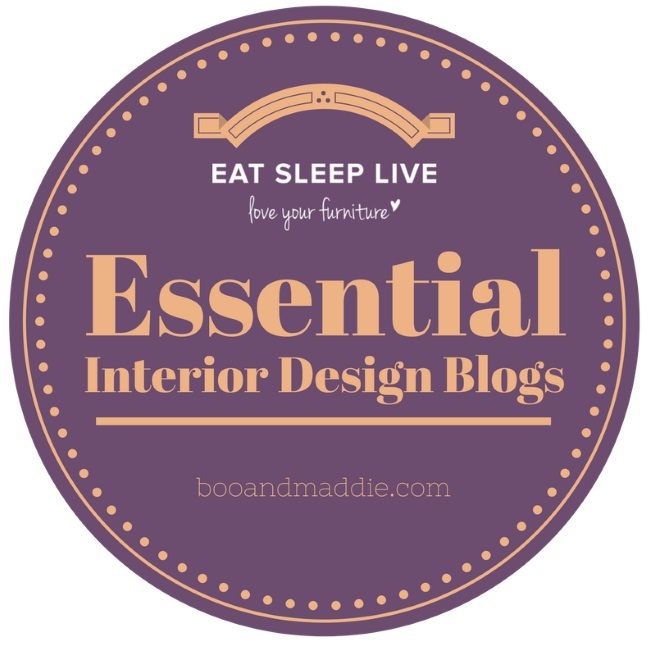 At the time my blog was only a couple of years old and I wasn’t contemplating giving up the day job any time soon. Martha was absolutely lovely and it felt so inspiring to see how someone’s dreams could become a reality with enough hard work, passion and belief. At Lavolio, we also had the chance to create our very own version of the latest Martha Brook London products, the ‘reveal wheel’. I wasn’t entirely sure Pete would buy into one, so I chose to create one for my best friend instead and only wish I could see her face when she opens it as I think she’ll cry! Perhaps a Galentine’s present instead. 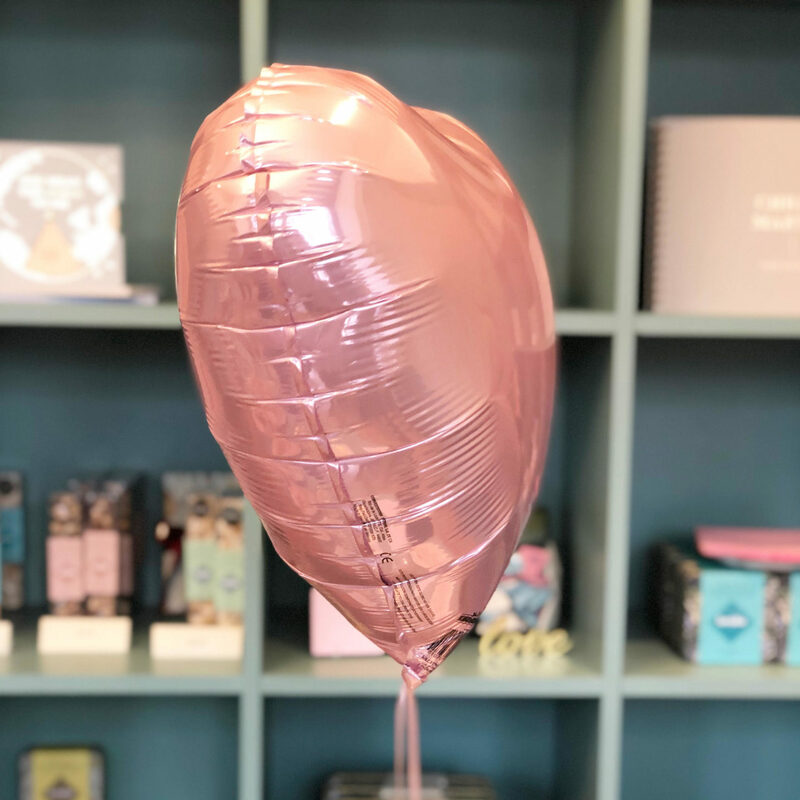 So if you are shopping this Valentine’s Day and would like to support a small business in the process whilst purchasing something with a bit more though behind it, please do take a look at Lavolio and Martha Brook London. Two beautiful and stylish creatives with so much passion for what they do, bringing happiness and joy into the day-to-day. 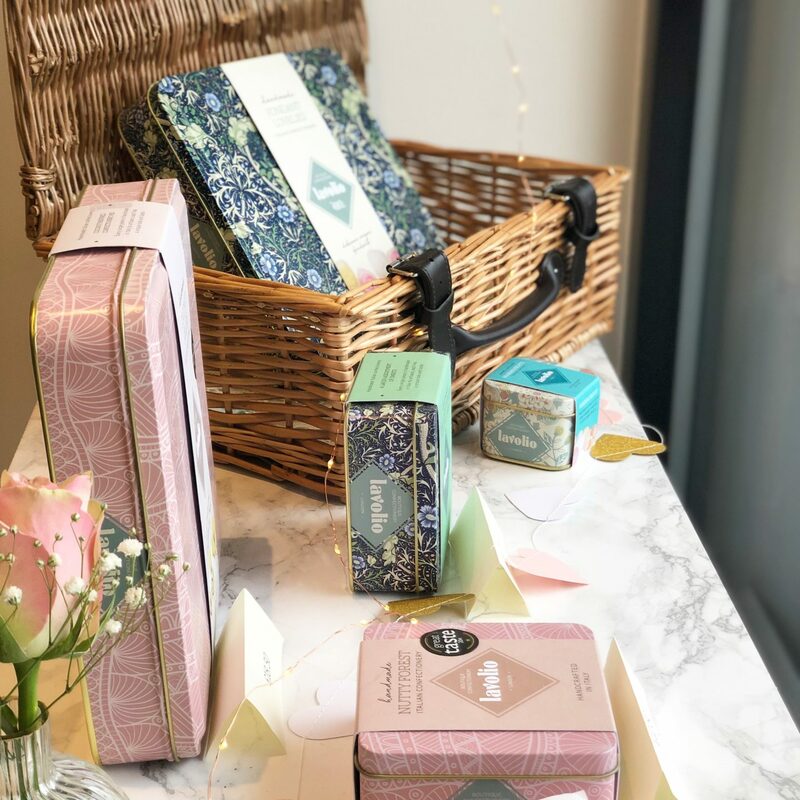 As mentioned, I was very kindly invited to the Lavolio boutique by Martha Brook London for their morning of Valentine’s treats. 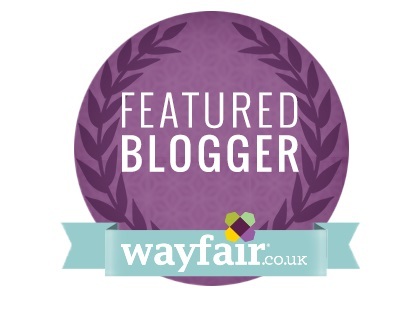 However I was under no obligation to share a blog post and chose to do so in support. It’s actually my birthday Valentine’s Day so we do celebrate. I’m not sure we would make such a fuss otherwise. The sweet treats look delicious.